How to Assure a Child of a Permanent Home? All children who are adopted, no matter their age, come with a past. Their story began well before they entered your family and will continue with many of the same identity questions they may have previously held. For a child who is old enough to understand what is happening, they may bring with them a lot of baggage, including doubts and fears about their permanent home. It is part of the job of an adoptive parent to do their best to assure the child that this is the real deal. There are few ways to help a child you adopted know that adoption does mean forever. When the child enters your home, it is important to establish a routine and expectations. It is not so much that you need to make rules clear, but more that it will be important to integrate the child in your family. It is important for him to feel included in the daily routine and understand that he is part of your family. Solidifying this role helps the child understand that he matters and that his presence is irreplaceable. Make sure that you have time; allow room for your child to express his feelings. He should feel comfortable enough to speak openly about his adoption and any doubts that he may be having. 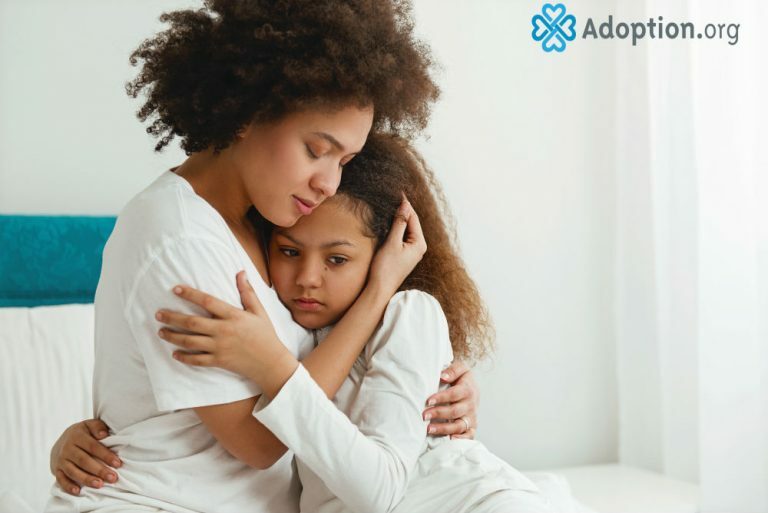 If he won’t talk to you about it or if you feel he might be holding back, counseling with a counselor familiar with adoption can help tremendously. As your child grows to trust you more, he may be willing to open up about his doubts and allow you to provide reassurance as needed. The best thing you can do to assure your child that your home is permanent for him is to remind him of that even in a hard time. As with any child, he may test limits and act out. Some of the pushback may be his way of testing how far he can push you before you break. It is not uncommon for children who have bounced between multiple homes to try to end their stay sooner to avoid heartbreak. If you do encounter these episodes, while discipline and redirection are certainly appropriate, be sure to end your conversation on a high note and a reminder that you are in it for the long haul. Often just saying something like, “there is nothing you can do that will make me stop loving you” can make all the difference to a child.